The Beauty of Life: Breaking News! M.A.C Cosmetics and the M.A.C AIDS Fund Announce Their Newest Spokeswomen! Breaking News! M.A.C Cosmetics and the M.A.C AIDS Fund Announce Their Newest Spokeswomen! Lady Gaga and Cyndi Lauper! Back at the event (the photo above was taken that night), the two lovely ladies were there to talk about how much it means to them to be a part of such a special and important campaign. It was amazing to see them live and in person -- they're both unbelievably beautiful and such strong women. Cyndi Lauper talked about how important this cause is to her personally, especially as a performer and regular of the '80s club scene, which really resonated with me. And today, the partnership has been officially launched. 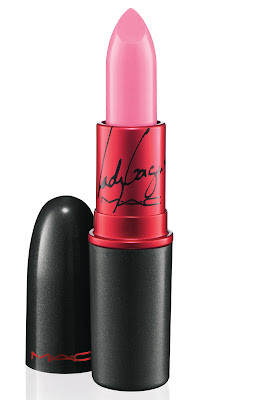 As part of the "From Our Lips" campaign, M.A.C will introduce Viva Glam Gaga and Viva Glam Cyndi Lipsticks. Each lipstick retails for $14. 100 percent of the selling cost will be donated to the M.A.C AIDS Fund, which was established in 1994 to support men, women and children affected by HIV/AIDS globally. 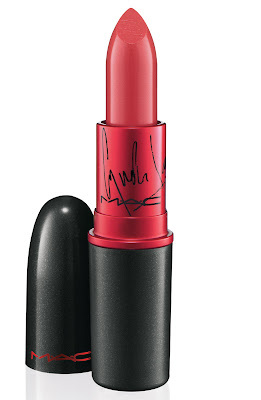 To date, the M.A.C AIDS Fund has raised over $150 million in 67 countries exclusively through the sale of M.A.C Viva Glam Lipstick and Lipglass.